The Cordillera Real is a world-class mountain range that offers climbing to satisfy almost everybody, regardless of what your skill level and experience may be. 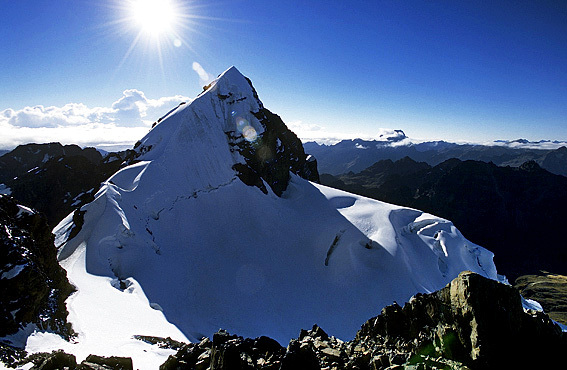 These three mountains are the best representations of Bolivia’s mountains and will require a reasonable level of winter climbing experience. 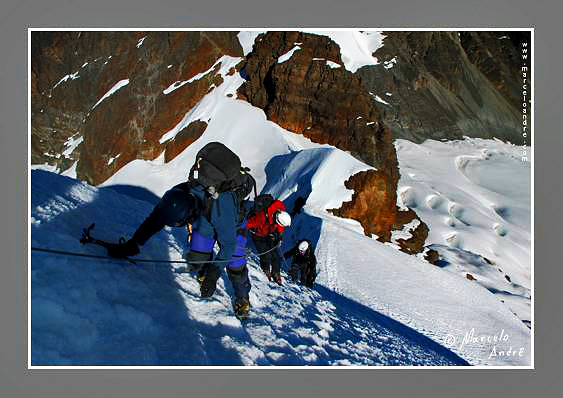 It is a classic Bolivian Climber program designed to offer you the chance to experience a special blend of natural beauty and culture; The imposing peaks of Illimani dominate the South-east skyline of the Bolivian capital, La Paz: the beautiful Pequeño Alpamayo and Huayna Potosi both provide excellent sporting fun. 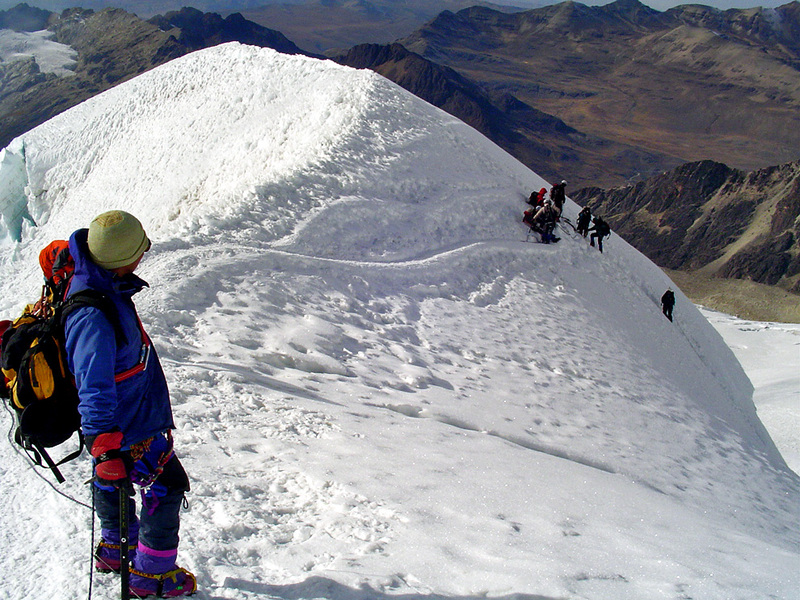 Huayna Potosi is the most accessible 6000 metre peak in Bolivia. 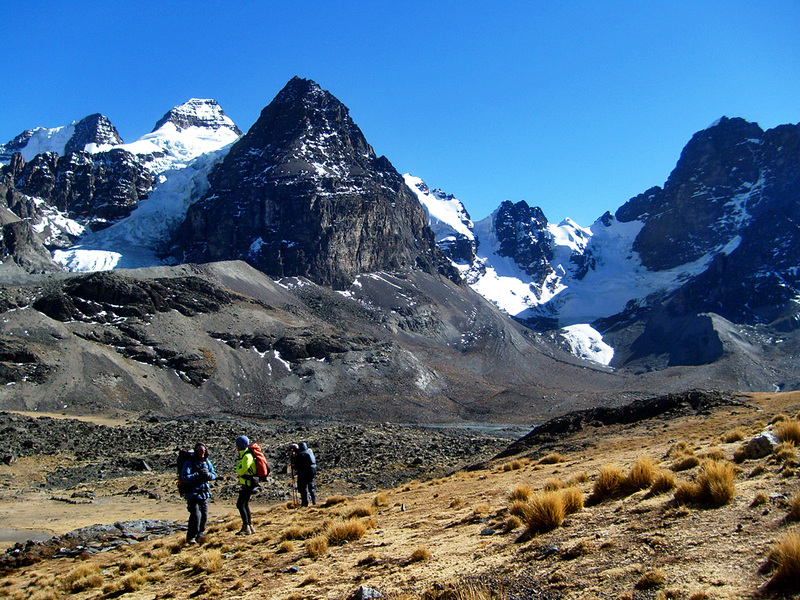 In green glacial valleys we will meet gentle Aymara people who love to teach us their traditions and folklore. 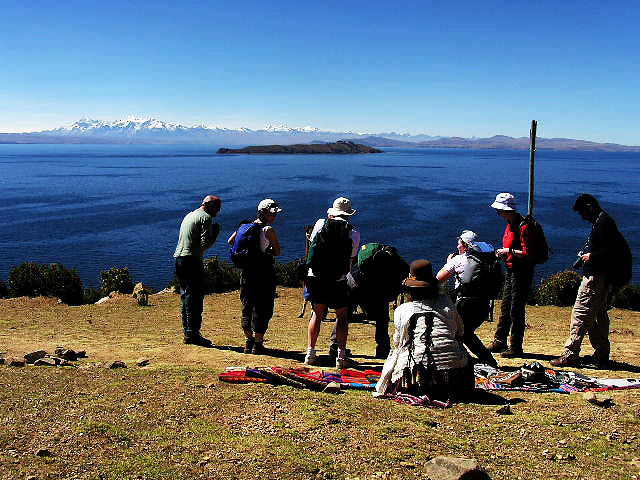 Before setting off on the climb, we will acclimatize beside the stunning Lake Titikaka and Sun Island, with its Inca temples and pathways. DAY 1: ARRIVE ÍN LA PAZ. Reception and transfer to the hotel. DAY 3: DRIVE TO COPACABANA & LAKE TITIKAKA. A series of cultural highlights to visit en route. By boat we will get to the Sun Island to find unique traditions and folklore. Lodge. DAY 4: HIKE ON THE SUN ISLAND. Archaeological remains and typical hamlets. Return to Copacabana. Hotel. DAY 5: DISCOVER COPACABANA & TRANSFER TO KOTIA LAKE. Visit indigenous markets, streets, viewpoints and the church of Copacabana. Car transfer to Kotia near the snowy peaks of Negruni massif. Camp. DAY 6: TO AJWANI. Trek and camp. DAY 7: TO JURIKOTA. Trek and camp. DAY 8: TO CHIARKOTA. Trek and camp. DAY 9: ALPINE SKILLS REVIEW. DAY 10: CLIMB PEQUEÑO ALPAMAYO. 5379 m high. West-southwest ridge normal route. 6 hour climb. DAY 11: TO ZONGO PASS. Trek to Tuni Lake and car transfer to Zongo Pass. Refuge. 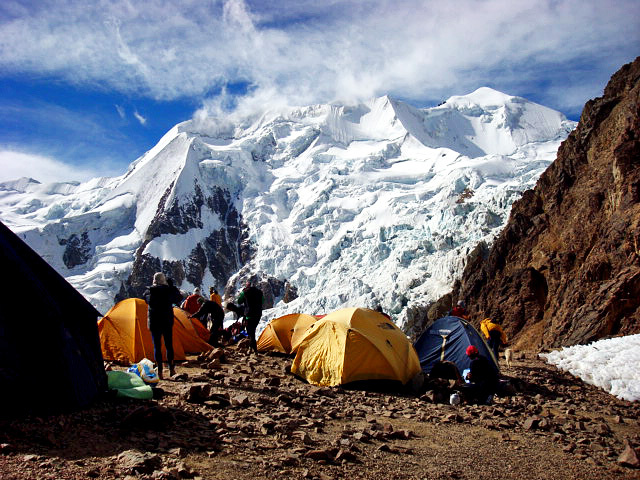 DAY 12: HIGH CAMP OF HUAYNA POTOSI. Trek and camp. 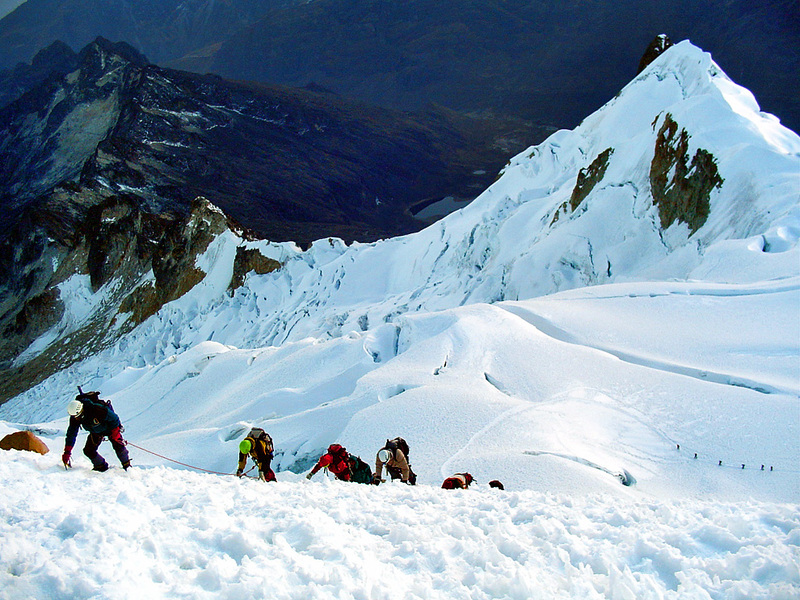 DAY 13: CLIMB HUAYNA POTOSI. 6088 m high. Normal Route. 6 hour climb. Return to La Paz. 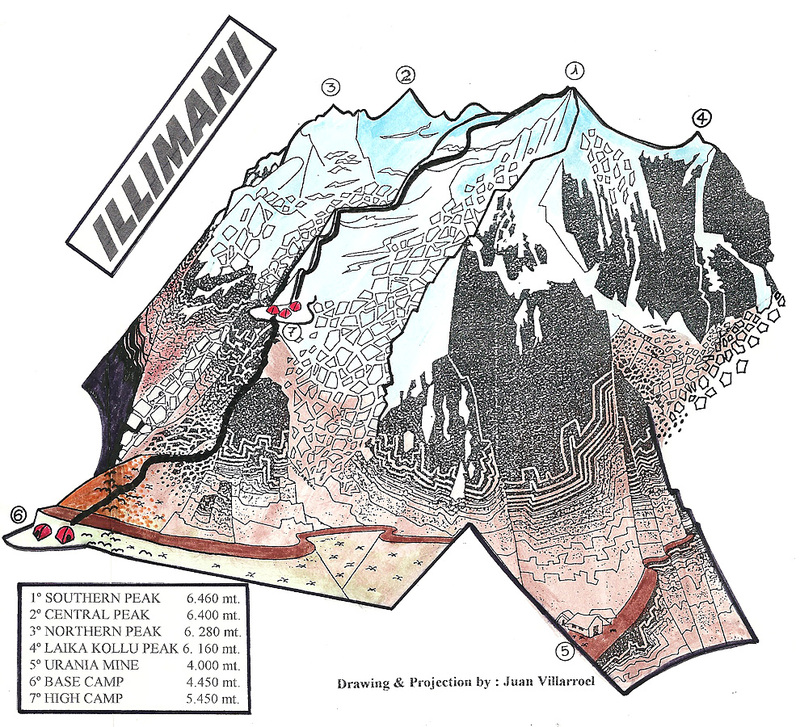 DAY 15: BASE CAMP OF ILLIMANI. Car transfer to Pinaya village, trek and camp. 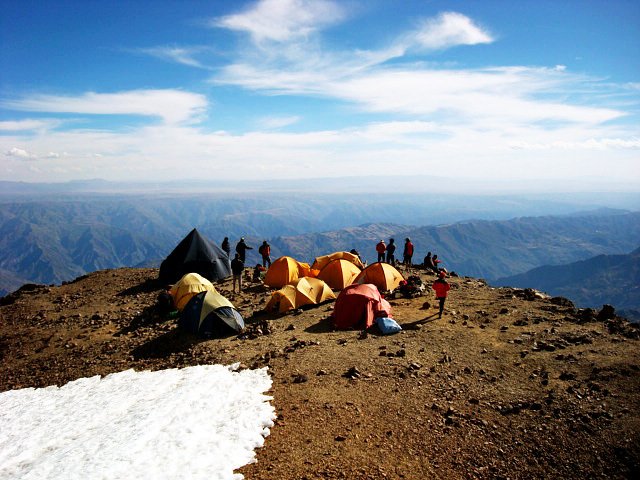 DAY 16: HIGH CAMP OF ILLIMANI. 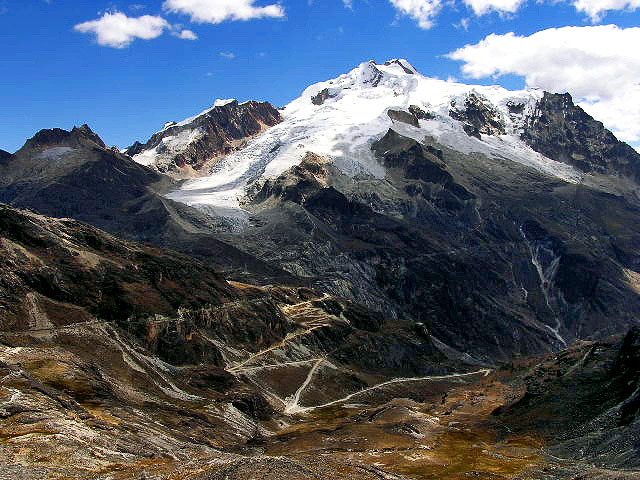 Trek and camp at the glacier. DAY 17: CLIMB ILLIMANI. 6462 m /21195 ft high. Normal Route. 7 hour climb. Move down to base camp. DAY 18: RETURN TO LA PAZ. 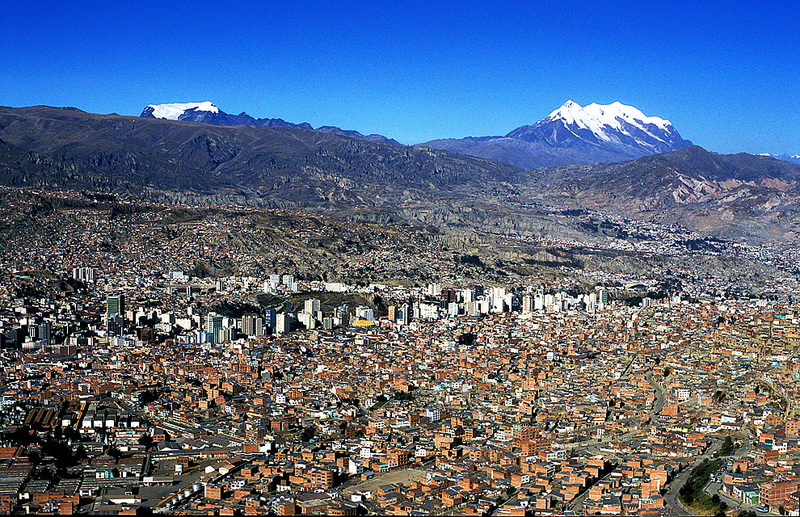 Trek and car transfer to La Paz. DAY 20: DEPART LA PAZ. Transfer to the airport. End of our package service.